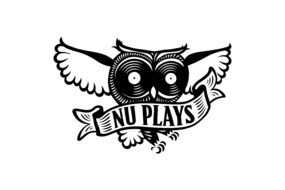 Oct. 25th, 2012: NuPlays.com - a new online service allowing artists and labels to easily sell or share their music enhanced with extraordinary musical lifestyle - has officially launched. 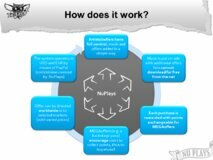 With the NuPlays service labels and artists can create special bundles in which music, as downloads, is offered with all kinds of real and virtual gadgets related to their music. In addition, NuPlays encourages fans to buy legitimate files with the MEGAoffers program, offering extraordinary goods and services (e.g. meetings with artists) for points they get for each purchase. Few fans would give up the opportunity to meet their idol, not to mention the possibility to sing along in a closed rehearsal or have a party with them. T-shirts, vinyl, apps for mobile devices (and many more) are great things that enhance the way people experience music. Thanks to NuPlays artists and labels can instantly create limited and rare bundles and offer them to their fans with a few clicks, with their music! NuPlays allows artists and labels to create different purchase options for their music. The buyers choose themselves what is more important to them: if they want only audio files or one of the offers prepared by the seller. With PayPal the purchase is immediate and they get instant access to high quality files – no matter what purchase option they’ve selected. On NuPlays fans are rewarded for legitimately purchasing music! The nature of the bonuses and MEGAoffers are limited and defined only by labels and artists. 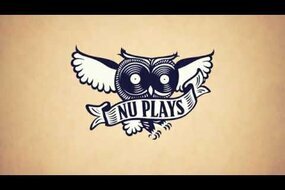 Thanks to NuPlays music reclaims it’s position in today’s internet dominated world. Are you an artist? Start selling your music on NuPlays.com! NuPlays is a great place to sell for all musicians – both signed to labels and independent ones. Artists can easily set up their account on NuPlays, upload their music and add purchase options anything – from t-shirts to access to secret videos. On NuPlays sellers have full control over their music and offers: they decide for how much and in which country they want to offer their music. And that’s not all - they can also set up the NuPlays store on their fan page on Facebook! So what is NuPlays? Long story short it's a marketing and selling platform for artists and labels that will allow them to offer music in a far more attractive way than any way available so far. So that their fans will prefer to buy music rather than download it illegally. Check this video to find out more. Buy music on NuPlays.com, get NuPlays points and redeem MEGAoffers! And if you're musician or manager, register on nuplays.com/seller and start selling your music in minutes!